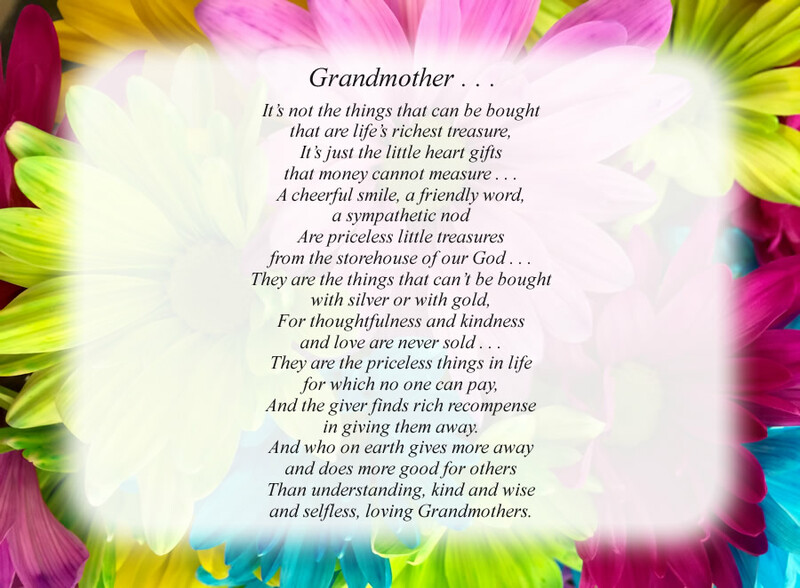 Free Grandmother Poem - Grandmother . . .
that money cannot measure . . .
from the storehouse of our God . . .
and love are never sold . . . The poem, Grandmother . . ., is free and printable by opening or downloading using one of the three links below.